The owner of this white E class coupe wanted to have me tint / smoke their tail lights with my light film. 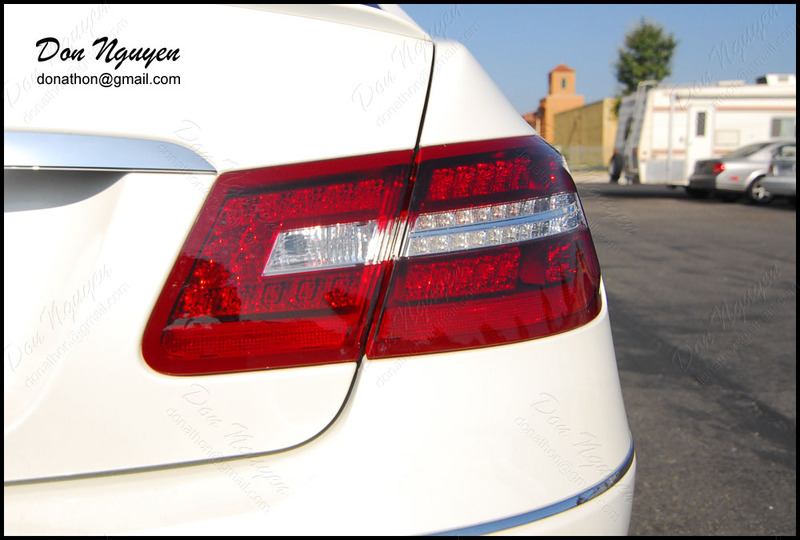 In the pictures, the car/surrounding may seem under exposed or over exposed, but that is done on purpose, since the focus is on the tail lights. Each of the pictures represents how the tail lights look exactly at that moment in person in those lighting conditions. The owner of this car was from around south Orange County and drove out to me in Anaheim Hills to get the work done.